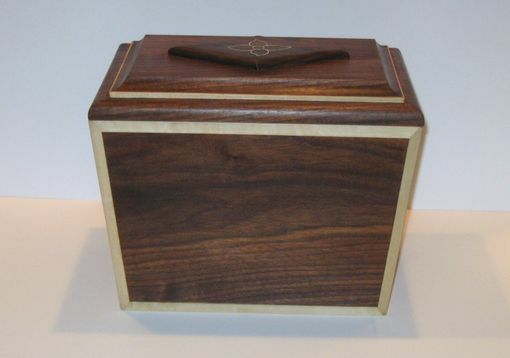 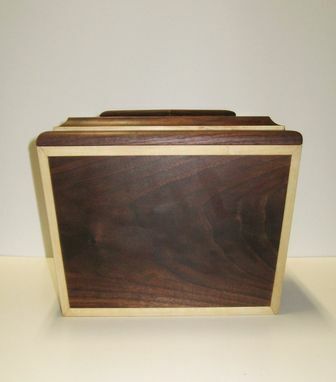 This remains box was made for a customer to put both of her parents ashes into. The client wanted a box that was simple, with strong lines and a characteristic to set it apart. 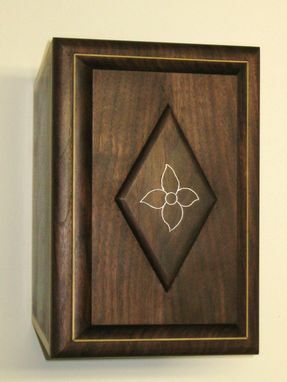 The silver wire inlay and trapezoidal shape give a unique look with out being too bold. 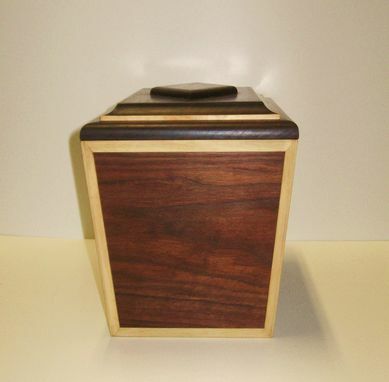 The finish is oil, shellac sealer coat and wax.